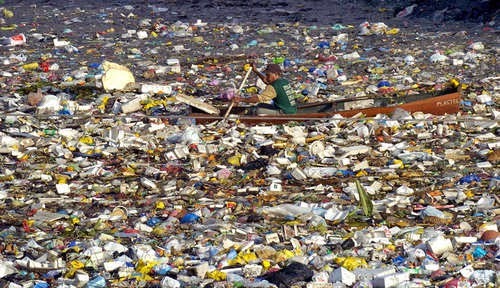 Worldwide, a trillion single-use plastic bags are used each year, nearly 2 million each minute. Usage varies widely among countries, from over 400 a year for many East Europeans, to just four a year for people in Denmark and Finland. Plastic bags, made of depletable natural gas or petroleum resources, are often used only for a matter of minutes. Yet they last in the environment for hundreds of years, shredding into ever-smaller pieces but never fully breaking down. Full story here.